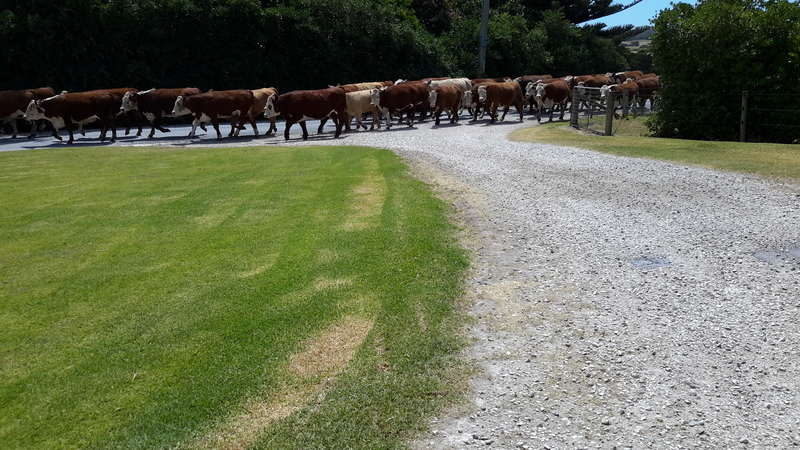 Around a corner we spotted a huge herd of healthy cattle spread across the road, and a farmer gesticulating urgently that we should drive off the road up a side track. 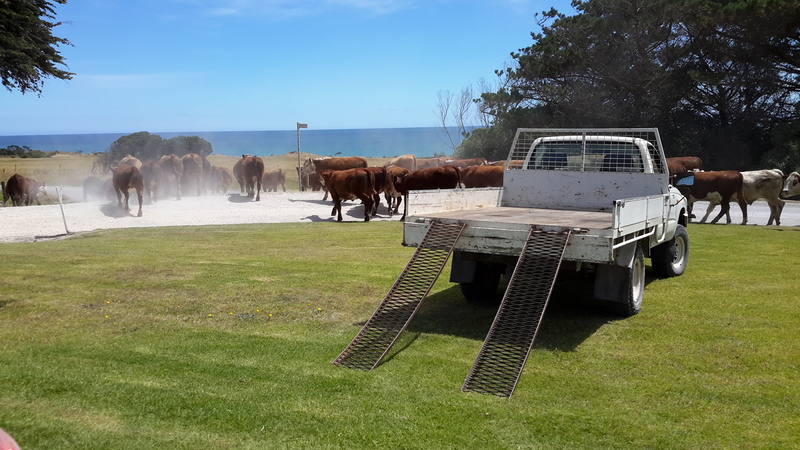 We took the hint, and watched the movement of cattle along the road to their new paddock. I noted how placid the animals seemed. In discussion with the farmer he explained they don’t use snapping dogs, or any goads and so the animals remain calm when being transferred between paddocks. Happy cows produce better meat. It was a perfectly beautiful day and this stock movement was executed in a perfectly normal fashion for the locals. 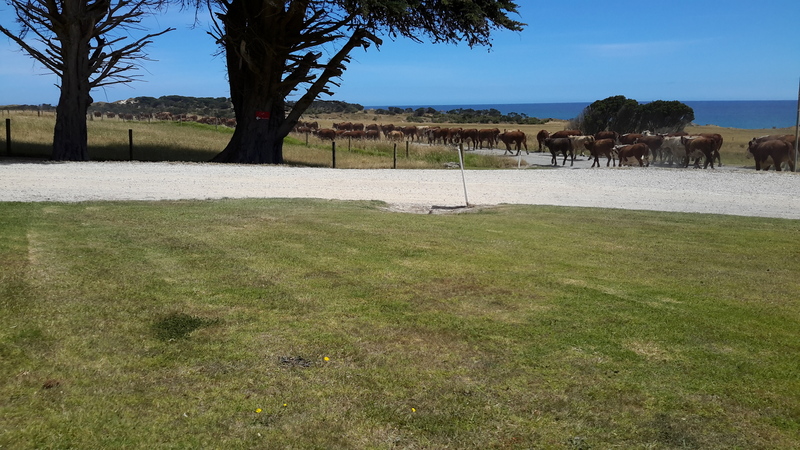 This entry was posted in Marrawah, Tarkine and tagged Cattle, Marrawah. Bookmark the permalink.